The 2016 budget proposal to increase taxes on motor vehicles will entice more second hand vehicles to be imported to Sri Lanka,Vehicle Importer's Association Chairman Indika Sampath Merenchige said. Speaking to Daily News Business he said that this is because it will be around 30% less than that of a brand new vehicle. "Yes it will be a saving for the country on the long run,"
The association members met Finance Minister Ravi Karunanayake and it was confirmed that the Finance Ministry will not re adjust the motor import tax structure until the next budget. "We requested the Minister to reconsider of lowering the taxes on vans and mini lorries as it will help the SME sector but he opposed it." The Minister had maintained that two months before the budget he had said that vehicle taxes were going to be increased and the industry should have known to gear themselves up for it. "This will also result in car sale owners clearing their around 250 vehicles from the port under the new tax structure soon as the Minister rejected an appeal by us to offer them the pre budget tax rate." "We now know that there won't be any changes in import taxes and now will set up guidelines to the industry. What we wanted was a clear word from him and now we have got it." 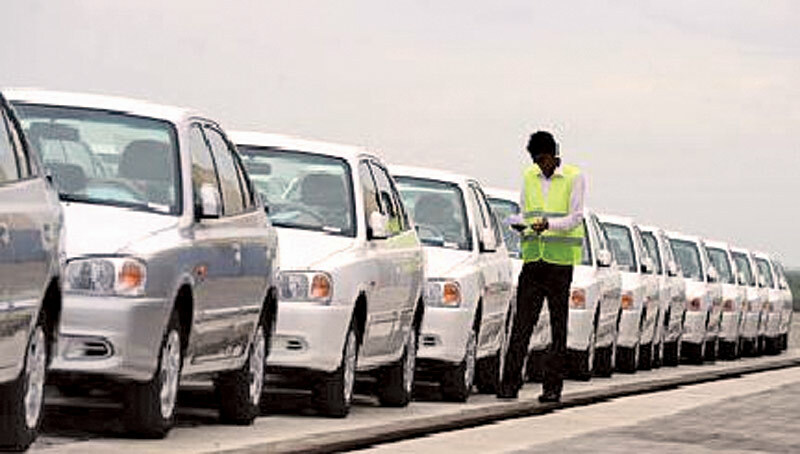 He said that currently there are around 7,000 new and reconditioned vehicles in the market and he assured that they could be purchased at around 10% more than the pre budget price. "However I must say that popular models such as Axio, Prius,GP5, Aqua will increase after about one month." Asked to comment on the second hand market he said that the current high prices will stabilize in two months. "Both the second hand seller and buyer are adopting a wait and see policy and as there is not going to be a change of policy, the prices will stabilize," he said.